So is 78kg not big enough for The Biggest Loser? I guess when the show has traditionally featured grossly overweight contestants (remember Kevin whose starting weight was 254kg? ), 78kg seems like an absolute lightweight! However, I think critics of Nikki are missing the point here. The facts are that she is overweight and she has a strong desire to lose it. While she would only like to lose 10 or so kilograms, reaching her goal is just as important to her as it is for a contestant who wants to lose 50kg. 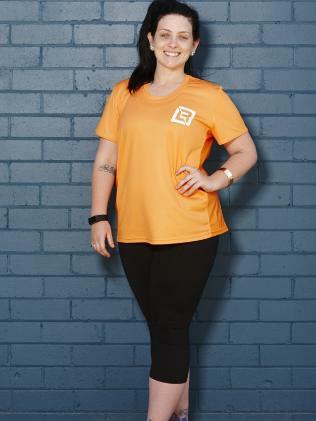 To be perfectly honest, I am relieved that The Biggest Loser has selected Nikki to be on the show – the statistics tell us that 63.4% of Australian adults are overweight or obese, so she is really representing the average woman who knows that if she lost some weight she will feel better, look better and her health would improve considerably. To be perfectly honest, most of the clients I see in my clinic only want to lose between 10-15kg and very few are in the morbidly obese category. Providing that Nikki gets to her goal weight (and we will see over the coming weeks), I think she will be a great role model to other women who know they should lose weight and will see for themselves what a difference 10kg can really make! Thank you to The Biggest Loser for finally not making the show more ‘real’ and showing Australians that you do not have to be massively overweight before you do something about addressing your weight problem. This entry was posted in Reasons to lose weight, TBL, The Biggest Loser, weight loss goals and tagged biggest loser, The Biggest Loser, weight loss, weight loss journey. Bookmark the permalink.